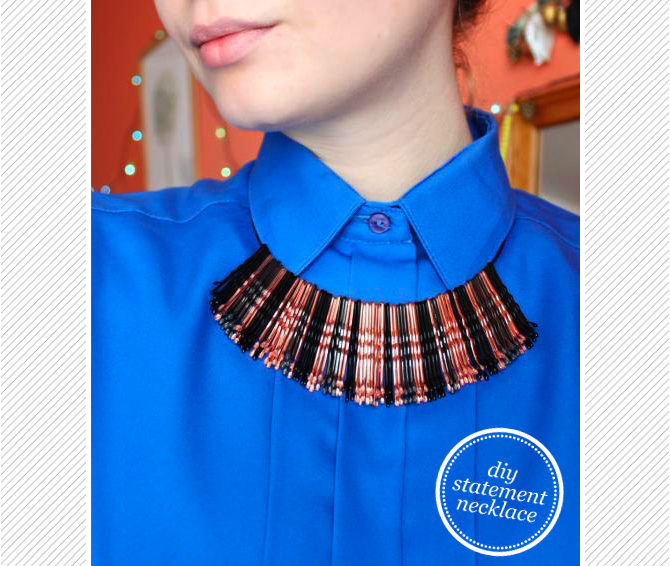 Check out this super cool DIY statement necklace by Timea Timbo! All you need is a huge bunch of bobby pins! I think I would spray paint it in a lovely neon for that extra pop!Tutorial link here.